Erica Campbell is making her mark in the business world with her wig line, but the gospel singer recently revealed that prior to her new venture she had turned down a number of merchandising opportunities because they didn't meet the standards she has set for herself, as a Christian. In an interview with Forbes magazine published Monday, the "I Luh God" singer, WEtv reality television star and first lady of California Worship Center named just a few of the opportunities that she had to pass up. "They brought energy drinks to me that weren't healthy, that were bad for the body. I said no to it," she told Forbes. "There was a tour opening up for a huge artist but, they didn't love Jesus at all and I said no to that. There's so many things I had to say no to because it didn't line up with what I believe in. "If I can't lay down at night and feel good about it? 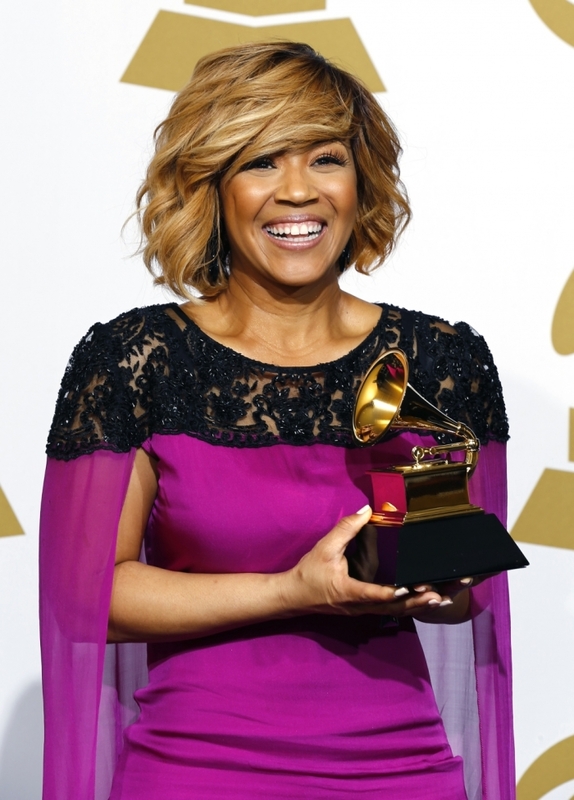 I can't do it," added Campbell, who got her start in the gospel music due Mary Mary. In December 2015 Campbell first announced that she would create a hair wig line with Washingto.n D.C.-based celebrity stylist Vernon Martin. Although she has since become the host of the nationally syndicated morning radio show "Get Up! Mornings With Erica Campbell," the wife and mother of three previously told The Christian Post why she never feels overwhelmed with all of her responsibilities. "You just take one day at a time. It is a lot, but I don't feel overwhelmed," the "Help" singer revealed to The Christian Post last year. "I feel like I'm busy, but if God gives you the vision, He will give you the provision to handle it. So I have a great staff of people. I don't do anything in my own strength or by myself.